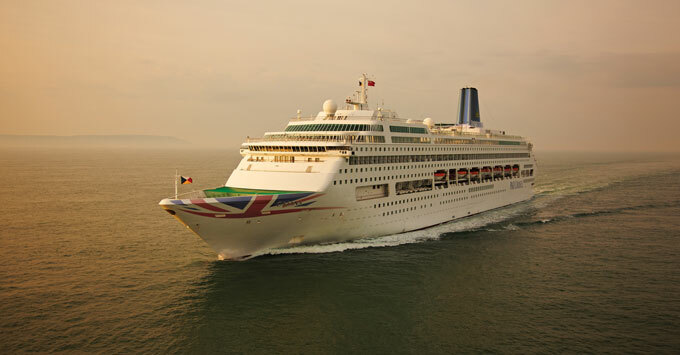 (1:30 p.m. BST) -- P&O Cruises has announced the departure of Oriana from the fleet next year. The line plans to concentrate on its mid-sized and large ships, ahead of the arrival of new ship Iona in 2020. The news comes two months after the departure of Adonia, which was the line's smallest ship. At the same time, P&O Cruises has confirmed investment in dining, entertainment and shore excursions for the rest of the fleet from summer 2019. P&O Cruises Senior Vice President Paul Ludlow, said: "Oriana is an original and a much-loved P&O Cruises ship. Whilst we will miss her, her departure will allow us to focus on our remaining mid-sized and larger ships as the fleet expands with Iona and her sister ship in 2020 and 2022, respectively. "Oriana will be with us until August next year, so there will be plenty of opportunity to celebrate her time with us. Those guests who have sailed on Oriana will then be able to enjoy holidays on Aurora and Arcadia, both of which are exclusively for adults and have a very similar onboard feel, and experience the revitalisation taking place over the next year. "With the introduction of Iona in 2020, followed by a similar ship two years later, it is also imperative that we continue to elevate the standards of the rest of the fleet." The programme will cover three key areas of investment: shore excursions, dining and entertainment. It will be across the entire fleet -- mid-sized ships Arcadia, Aurora and Oceana, as well as larger ships Britannia, Azura and Ventura. Aurora will be refitted next spring, prior to its re-launch as a ship exclusively for adults. New cabins will be added as well as fixtures, fittings, soft furnishings and enhancements to public spaces throughout the ship. Ludlow added: "The additions will include new excursions across our itineraries, new dazzling theatre shows and daytime activities which reflect today's trends. We will be investing in Aurora's refit next year; Food Hero Eric Lanlard has devised an entirely new afternoon tea for all the ships, which will be very special, as well as refreshed menus and cocktails across the fleet." Rollout of these enhancements will coincide with the departure of Oriana from the fleet in August 2019. A special final sailing on Oriana will be announced shortly.